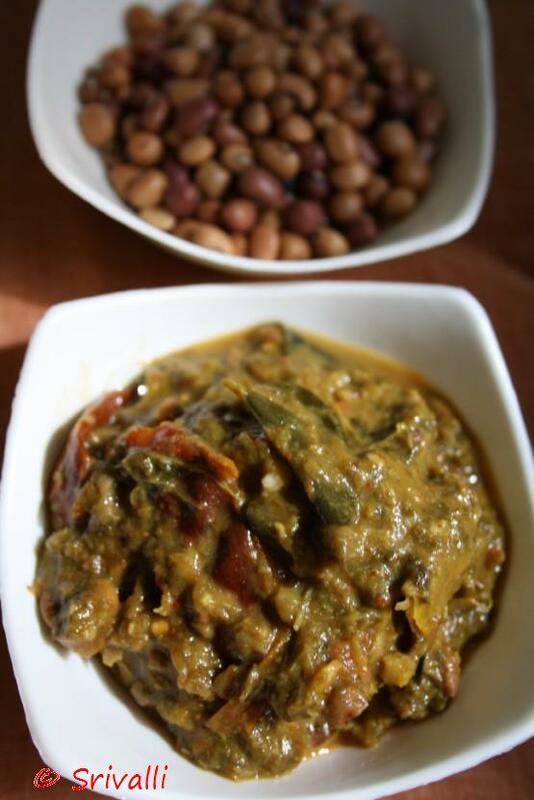 Sorrel Leaves with Black Eyed Peas is a recipe I never knew existed! Until one day when Athamma bored with the same dishes I seem to be making, suggested making the Gongura with Alasandalu. It surely had a different taste and a rustic tough to it. We made this months ago, though this finally gets to the spot. Athamma was back from trip and came back loads of Gongura, with hopes of pairing it off with as many different things that she can. We made a pappu, a chutney, a pickle and still found some lying around for attention. Finally not knowing what else we can make with the sorrel leaves, Athamma said she remembered her mom making it with Black-Eyed Peas or Alasandalu as called in Telugu. Though Hubby dear wasn’t very trilled at being offered a dish with this combination, after tasting it. surely agreed this had a different and unique taste. We are all trying to get used to the new timings for the kids. So it will be a while before I get to do some new dishes. Meanwhile the regular comfort dishes gets an upper hand. Not only these simple dals are favorite, they are easy to make. While one may not really attribute simplicity to this particular dish, I would say it will accord to an extent. Especially if you are on the lookout for a change. 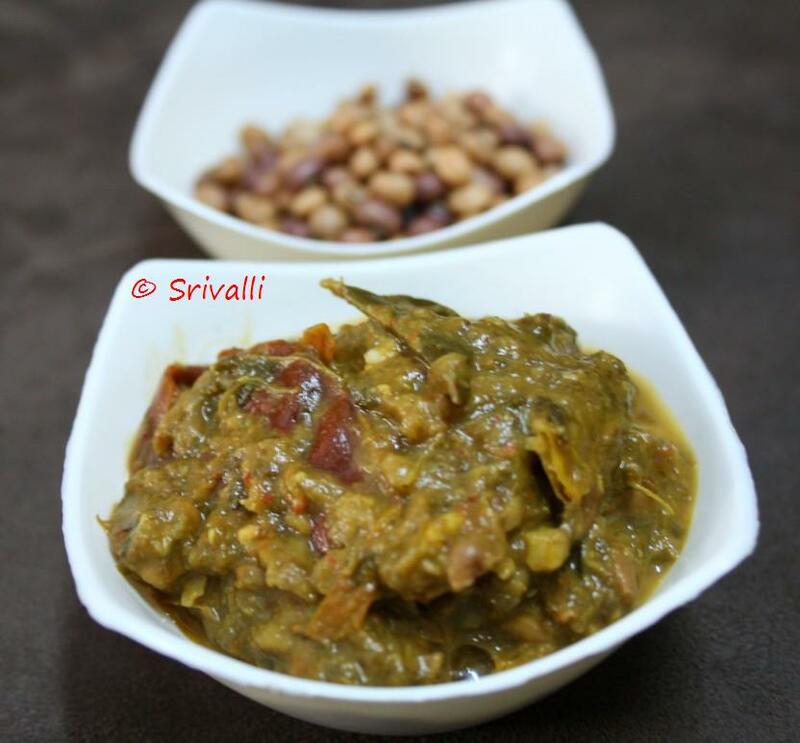 If you are using the fresh peas, you can directly cook the dal with Sorrel leaves. If you are using dried Black Eyed Peas, there are two ways. First is you can soak the peas overnight and then pressure cook it along with the leaves. Second is by dry roasting it first before pressure cooking it. I never remember to soak it overnight. So of the best tip that I learnt from Amma was roasting the dried Black eyed peas till it is done. Once it is cooled, pressure cook it before using it in the dish. In this dal, first dry roast the dried black eyed peas till it is really crisp. Then all add the washed sorrel leaves, tomatoes, green chilies. Add enough water to cover. Pressure cook till it is tender. I normally do about 4-5 times. Once the dal is cooked well, mash the dal with the gongura well with a masher. Heat a pan with oil. add mustard seeds, Urad dal, Red dry chilies and curry leaves. Saute for few minutes. Then add onions. Fry well. Add salt. Then add the mashed Alasandu pappu. Bring to boil. Since the sorrel leaves are sour, add only little of tomatoes. The spice will be enough to balance the sourness, so add the required amount of chilies. Looks like a very tasty dish. Perfect with rotis. Would definitely try. Such a delicious pappu, looks awesome..
Looks so spicy and tasty, I would love to try one of these and put different herbs and spices from my spice rack. It's always a good experience to have elders of family to suggest their ancentors recipes. Nice version. Such a nice combo! Looks spicy and enticing! Hmm.. I don't have these ingredients.. don't think I can make this presently. But I am just going to look in my fridge and see.. will make some greens curry! Nice post and nice pics! Thanks and cheers! Valli, this sounds like a great dish! Next to try on my list when I can find fresh gongura! Its been so so long since I had some gongura. Cant wait to taste that tangy green during my visit to India asap! you know what last weekend we had this typical conversation on a lunch table where we were discussing how boring Black Eyed preparation is !! I am gonna forward this link to all of my friends we can try out this new versions !